If you want to become a heroine like the characters in your favourite stories without jeopardising your health, join us for a day of yoga, tea, and self-development at the Rebel Heroine retreat on August 4, 2018. I always loved reading as a child. I think I spent more time reading books than talking to people - I am constantly mispronouncing words that I have read but never heard! The literature I read, especially as a child, helped shape my worldview. I was especially drawn to fantasy books, or books that focused on the internal (if mundane) struggles of the main character. I think what I liked about these books is that the characters were constantly building self-awareness and making hard choices. In university, I studied psychology and classics. When I started my yoga training, I realised that, just as argued by Joseph Campbell in The Hero With A Thousand Faces, a lot of mythologies from around the world share the same story. I even started to realise that a lot of the books I had loved as a child and adult shared these same themes. As I re-read many of my favourite novels as an adult, I made notes in my journal about my favourite quotes (I’m still too scared to ever mark up a book) and realised that a lot of them display the principles of yoga and mindfulness. I love that each time a read a book again I learn or discover something new. So today I thought I’d share with you my favourite quotes from books, that could be about yoga. 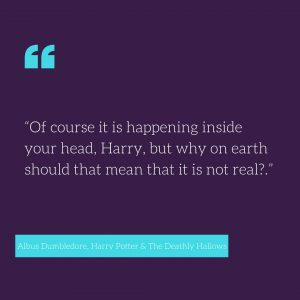 "Of course it is happening inside your head, Harry, but why on earth should that mean that it is not real?" - Albus Dumbledore, Harry Potter And The Deathly Hallows. 'It’s all in your head', or, 'but you don’t look sick' are phrases everyone with an invisible illness dreads hearing. Once we begin to practice yoga and mindfulness, we understand the power of the mind-body connection. Thoughts or feelings happening in your head can have just as much weight or pain as those things happening to you physically. And they are just as real. "All we have to decide is what to do with the time that is given us." - Gandalf, The Lord Of The Rings. When Gandalf says this line, he is talking with Frodo about how Frodo wishes he didn’t have to live through turbulent times or carry the burden of the one ring. I think this is something many of us with chronic illness feel. We wish we didn't have to live with such a burden of pain and fatigue. 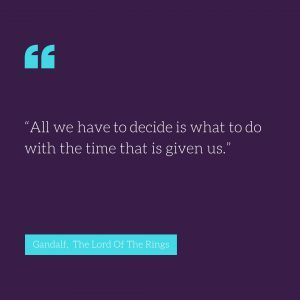 However, Gandalf focuses on a very yogic principle, we cannot change our outer circumstances, but we can make choices about how we react to them. You can’t control if you are in pain or tired or ill. You can choose how you will live your life with these (painful) circumstances. "But in the end, it's only a passing thing, this shadow. Even Darkness must pass. A new day will come." - Samwise Gamgee, The Lord Of The Rings. I recently wrote about this on Tiny Buddha. The only thing that’s impermanent is permanence. "According to Madam Pomfrey, thoughts could leave deeper scars than almost anything else." - J.K. Rowling, Harry Potter and The Order Of The Phoenix. In our society, we place more weight on physical and visible illnesses than on mental or invisible illness. Many people are offended if you suggest something is “all in your head”. 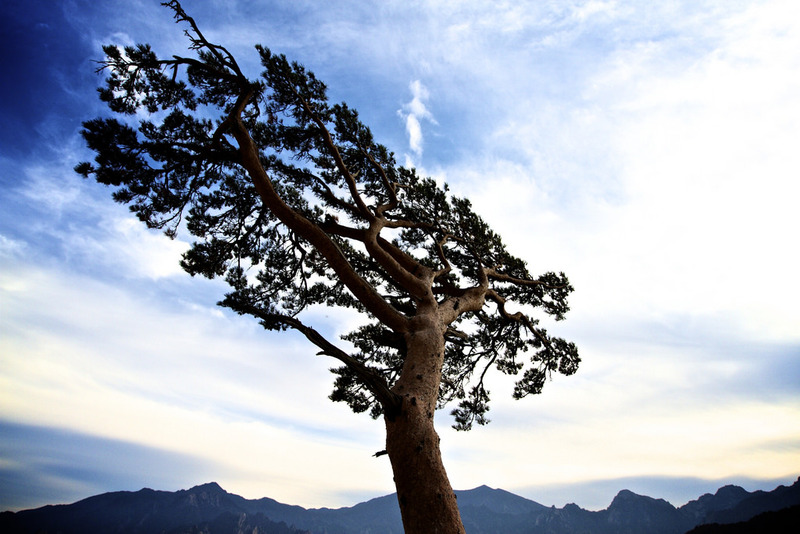 However, our mind and body are not 2 separate vessels, but intricately linked and working together. 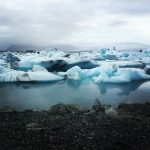 By recognising that emotional or psychological pain and trauma can be just as damaging as physical pain or trauma, we are on our way to better understanding ourselves, and the impact that thought patterns can have on all aspects of our health. "It's the job that's never started as takes longest to finish." - Samwise Gamgee, The Lord Of The Rings. In our yoga practice, we don’t expect to feel recovery, or make huge leaps in any single yoga practice. In fact, after 10 years of practice, I’m still working on straightening my legs in a forward bend! The goal of yoga is to make small steps every single time you practice. If you can just feel a tiny bit better each time, you’re chipping away at a major job or task. I recently wrote more about taking small steps in activism here. "Seems to me-" Lee said, feeling for the words, "seems to me the place you fight cruelty is where you find it, and the place you give help is where you see it needed..." - Phillip Pullman, His Dark Materials. This quote is about being aware of our surroundings and other people. So many times people want to give us the help they want to give, rather than the help or support we really need. Many people turn to drugs or alcohol when going through a tough time. And in extreme cases, this may be temporarily helpful (eg. Taking a sleeping medication for 2 weeks after the death of a loved one). But it’s important to feel our pain if we wish to overcome it. If we suppress or numb the pain with drugs and alcohol, we still have to come back and deal with the same problems when we return to sobriety. Contrary to popular belief, yoga doesn’t mean clearing your mind, it will allow you to fully understand your thoughts and emotions. "No good sittin' worryin' abou' it." he said. "What's comin' will come, an' we'll meet it when it does." - Hagrid, Harry Potter and The Goblet Of Fire. In this post, I talked about primary vs. Secondary suffering. Primary suffering is the pain we can’t control (eg. Fighting a Hungarian Horntail in the Triwizard tournament), secondary suffering is the pain we can control (eg. Working yourself into a fretful state by worrying about fighting a Hungarian Horntail in the Triwizard tournament). Hagrid perfectly expresses that idea with this quote. "I took a deep breath and listened to the old brag of my heart. I am. I am. I am." - Sylvia Plath, The Bell Jar. I love this quote from The Bell Jar. Despite the inner turmoil the main character is facing, she can return to her breath and realise the simple fact that she is alive. Despite all the pain and suffering many of us have experienced from chronic illness, we can all sit on a mat (or lie on a bed) and breathe. Sometimes the most simple practice can make you feel the most alive. "I may not have gone where I intended to go, but I think I have ended up where I needed to be." - Douglas Adams, The Long Dark Tea Time Of The Soul. None of us planned to wind up with a chronic illness. But sometimes the roads life take us down, lead us to where we needed to go. And if we can greet these obstacles with the humour of Douglas Adams, we will end up in a good place. "We prefer to explore the universe by traveling inward, as opposed to outward." - Nnedi Okorafor, Binti. We have so many undiscovered parts of ourselves, why pour all of our energy outwards? 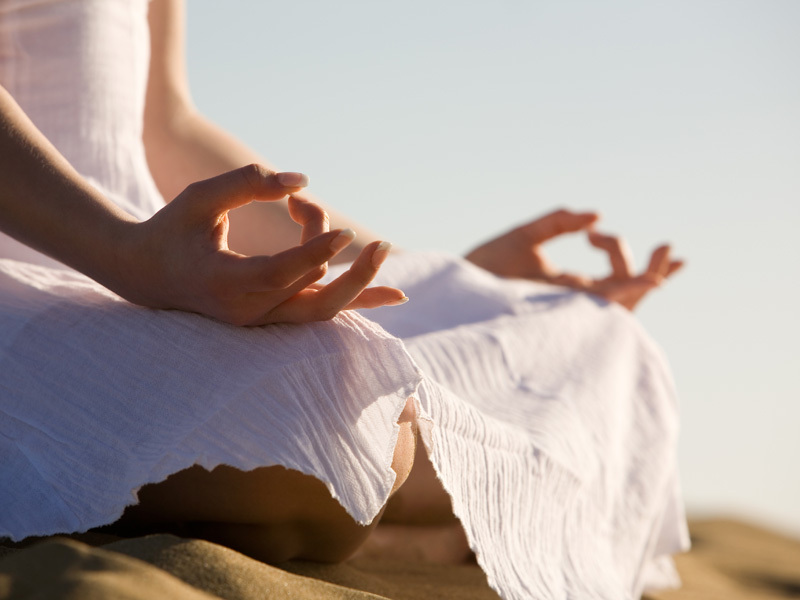 Sometimes, it’s important to look inwards, to sit in stillness, and to listen to our bodies. "If you want people to listen to you, you have to listen to them. If you hope people will change how they live, you have to know how they live. If you want people to see you, you have to sit down with them eye-to-eye." - Gloria Steinem, My Life On The Road. An important part of yoga is learning to listen: both to ourselves and the people around us. If you want to make social change in your community, in the healthcare system, or in your own life, you need to mindfully listen to others. "It's like everyone tells a story about themselves inside their own head. Always. All the time. That story makes you what you are. We build ourselves out of that story." - Patrick Rofthuss, The Name Of The Wind. Are you telling yourself that you'll always be ill? That you'll never recover? The stories we tell ourselves matter. What story are you telling yourself? 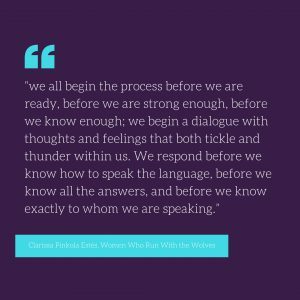 "We all begin the process before we are ready, before we are strong enough, before we know enough; we begin a dialogue with thoughts and feelings that both tickle and thunder within us. We respond before we know how to speak the language. Before we know all the answers, and before we know exactly to whom we are speaking." - Clarissa Pinkola Estes, Women Who Run With The Wolves. You are capable than more than you know. Take the time to sit and listen to yourself, and the outward words and actions will begin to form. "To look at everything always as though you were seeing it either for the first or last time: Thus is your time on earth filled with glory." - Betty Smith, A Tree Grows In Brooklyn. An important part of yoga is to look at everything with a beginners mind. Each time we sit down to practice or to enter a pose, no matter how many times we have done it before, we should treat it as if this is the first time. There are always new perspectives to be had and new things to learn when looking at yoga and life in this way. "You may not control all the events that happen to you, but you can decide not to be reduced by them." - Maya Angelou, Letters To My Daughter. Another quote on how we can’t control our external circumstances, but we can make choices about how to live our lives despite them. "There is no greater agony than bearing an untold story inside you." - Maya Angelou, I Know Why The Caged Bird Sings. It can be harmful to our health to suppress who we are in order to please others. But I see so many people doing this on a daily basis. Whether your story is on paper in a book or in living the life you know you want to live, don’t let your story go untold. 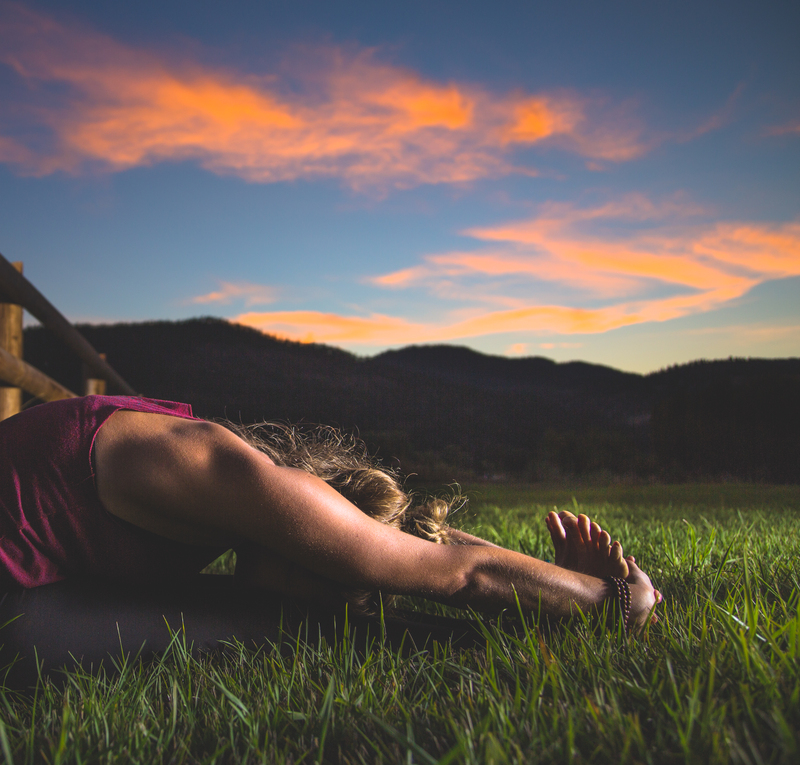 If you want to become a heroine like the characters in your favourite stories without jeopardising your health, join us for a day of yoga, tea, and self-development at the Rebel Heroine retreat.